One great pleasure of living in a couple is that you’re not responsible for the entire operations of the house. I enjoy pet-fish, but were they to rely on me for their survival, the poor creatures would certainly not survive. Fish require a regular supply of food. In this case, it comes in the form of a plastic tube, about ten centimetre high, with a grass-green lid on top. 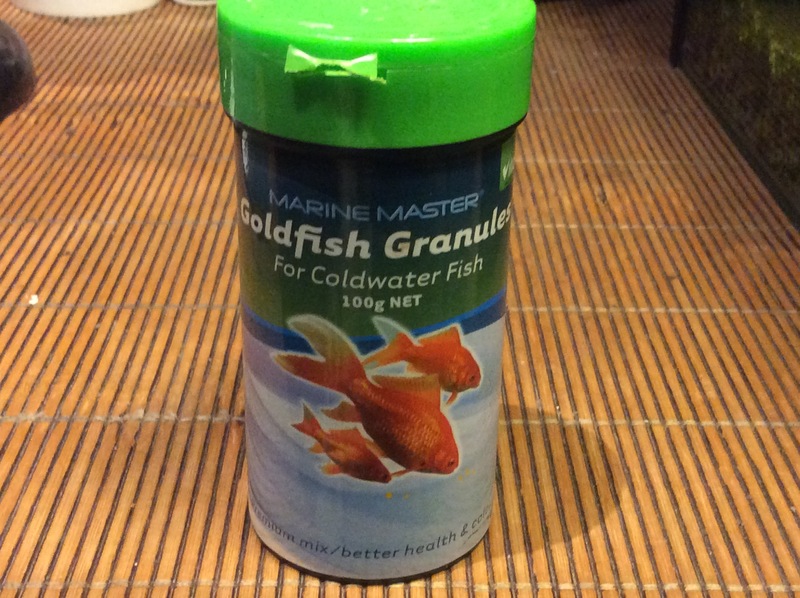 One side of the tube bears a pictures of three goldfish swimming downwards on a light blue backdrop, with the words ‘Marine Master, Goldfish Granules, For Coldwater Fish, 100g net. The other side has more detailed instructions in small black print, as well as a bar code, an email address (www.marinemaster.com.au) and the company’s physical address in New Zealand (VitaPet Corporation Limited, 1-9 Bell Road South, Lower Hutt) and Australia (VitaPet Corporation Pty Ltd, 126 Jedda Road, Prestons, NSW 2170). My partner bought the tube, and usually feeds the fish. When he’s away, he reminds me to give them a pinch of granules, once a day. They come out of a circular hole at the top of the tube, covered by the lid: very small cylinders, hard and dark-red, each about a milimeter across. I’m not sure how long a tube lasts, or how much it costs, and yet I notice it everyday.